Even with all the success HMD had with reviving the Nokia brand in 2017, it seems their second year is shaping up to be even better. Nokia has been steadily releasing sequels to last year's lineup, most with the new minimal bezel design language. The Nokia 7.1 is just their latest creation. If you didn't know the price tag, you'd think the Nokia 7.1 was much more expensive. Aside from its Snapdragon 600 series chipset (which is a more than capable SoC), Nokia's manufacturer, HMD, didn't skimp on the 7.1. It offers similar specs to phones twice its price and shares a similar modern look as well. And thanks to Android One, it's one of the few phones guaranteed to remain up-to-date. With the Nokia 7.1, HMD is introducing the world to its PureDisplay technology. HMD partnered with Pixelworks to enhance the quality of their screens. Using Pixelworks' Iris PX8418 mobile processing chip and combining it with the Qualcomm Snapdragon 636, the Nokia 7.1 can achieve one-million-to-one dynamic contrast ratio. Despite being an IPS LCD, it fully supports HDR10 and has already received HDR certification from Amazon for Prime Video HDR support. The Nokia 7.1 will also up-convert SDR content to HDR in real-time, improving the quality of videos not initially shot in the format. And all of this technology is contained in a 5.84-inch 2280 x 1080 display. There's a small display notch housing the camera and some sensors. Like most of Nokia's phones this year, the Nokia 7.1 is part of the Android One program. This means Nokia is leaving all software updates and security patches to Google, which dramatically speeds up their arrival. The Nokia 7.1 ships with Android 8.1 Oreo and will receive both Android Pie and Android Q. Google also promises any phone in the program will receive three years of monthly security updates, ensuring your phone is protected against the latest vulnerabilities. The Nokia 7.1 comes with dual rear cameras. ZEISS Optics optimized both lenses for improved performance. The main sensor is 12 MP with f/1.8 aperture, while the second sensor is a 5 MP monochrome shooter with f/2.4 aperture. The latter is a depth sensor, providing additional details when taking a photo. The cameras also support HDR and bokeh mode. While they do lack optical image stabilization, there is electronic image stabilization (EIS). EIS is inferior to OIS, but does offer some help in low light and reduces shaking in videos. Finally, as with all ZEISS Optics lenses, Nokia includes their new Pro Camera Mode for additional control over camera settings while remaining easy to access. The 8 MP front-facing camera is AI-enhanced and contains facial recognition. The Nokia 7.1 is available now at Amazon, Best Buy, and B&H. You will also be able to try out demo units at select Best Buy stores starting November 4. 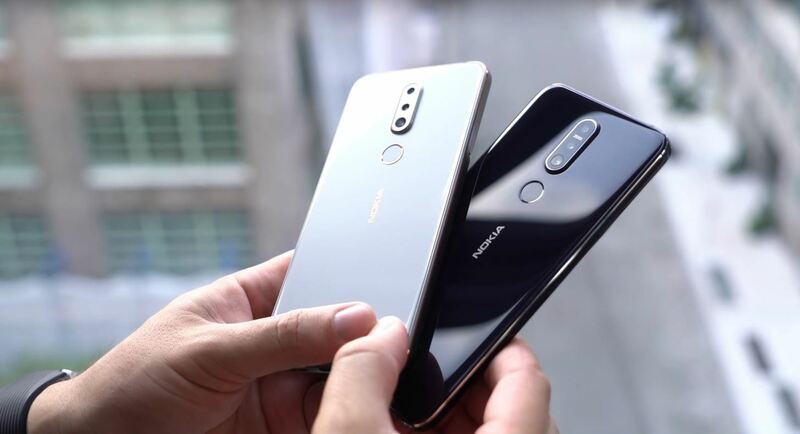 The Nokia 7.1 will come in two colors, Midnight Blue and Gloss Steel. The price starts at $349. The Nokia 7.1 is another solid budget device from HMD. It adds real value at this price point which is typically filled with products using cheap parts and low specification. 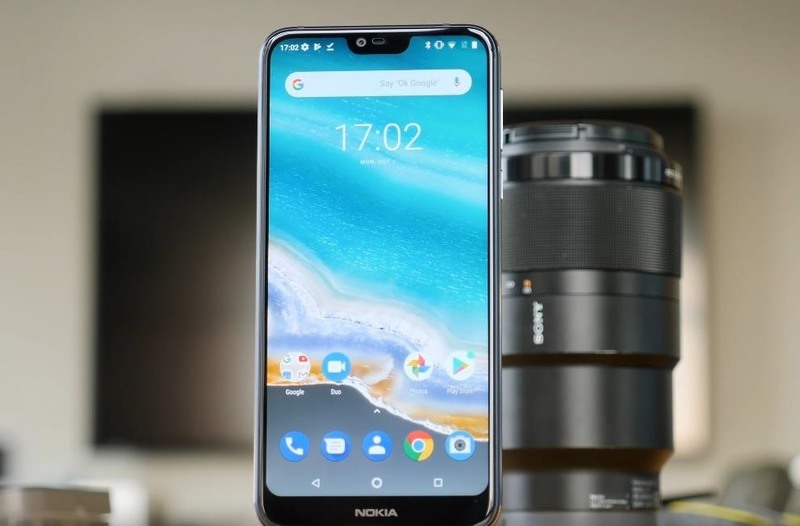 Not only is Nokia 7.1 introducing a new display known as PureDisplay technology, it providing dual cameras and the promise of two software updates and three years of security patches. What do you think of the Nokia 7.1? Anything you wish they included? Let us know in the comment below.